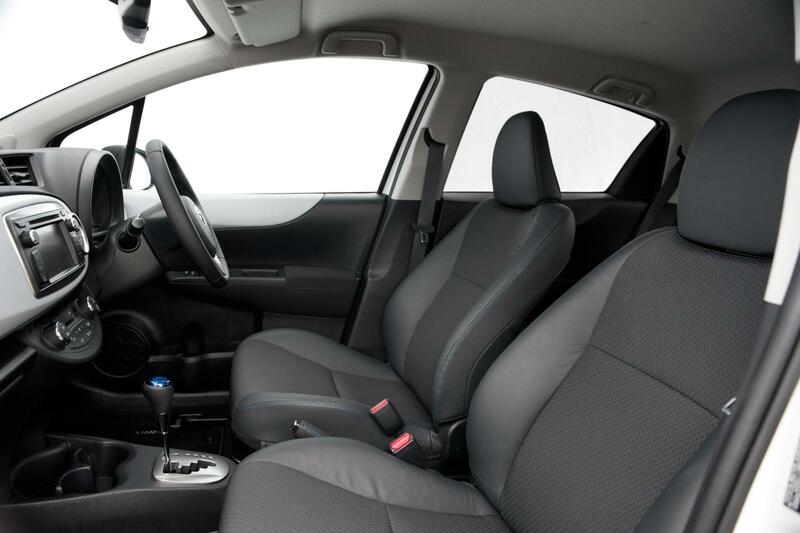 The Toyota Yaris is a well respected small car, selling in the first four months of 2012 nearly three times as much as the Auris HSD and Prius hybrid. 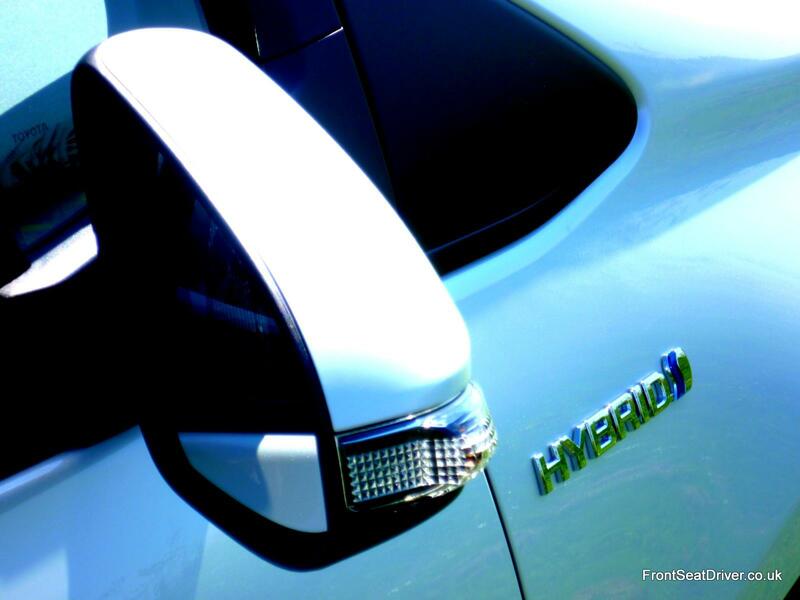 Taking that hybrid system and putting it in the Yaris should turn it in to something astonishing, shouldn’t it? If you’ll allow me to ignore the mechanical bits for a while, Toyota has certainly tried hard to make the Yaris Hybrid stand out. A newly sculpted front end with a deep under-bumper front grille, new ‘keen look’ headlight treatment with LED daytime running lights and a swoopy grille line encompassing the blue highlighted Toyota roundel combine to look modern, and almost futuristic. It’s exceptionally neat and tidy, working well on the small surfaces available. At the back there are redesigned lights, also with LEDs, while the car gets a unique pearlescent white colour option. Inside it’s not quite as exciting, despite changing some of the plastics to white to liven things up. There’s a lot of plastic on show, some of which feel a tad brittle especially lower down in the cabin, but there’s no doubt that it’s all screwed together well. 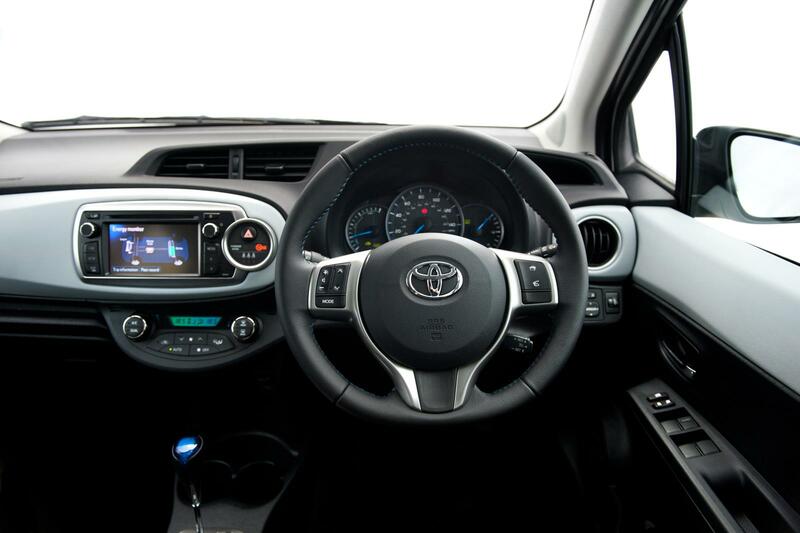 The dashboard includes Toyota’s new Touch&Go system, at least on the T-spirit model we tested, that merges sat-nav, multimedia, DAB radio and vehicle information on one screen. It’s light years ahead of older Toyota systems, which means it’s actually useable and works well. 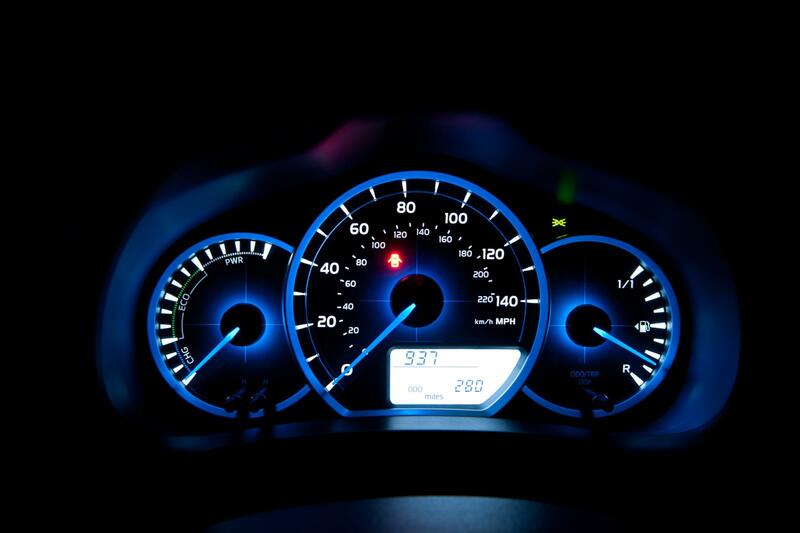 The instrument binnacle is now illuminated with blue lights, to match the blue highlighting in Toyota’s hybrid range. Why blue? We have no idea, but blue is obviously the new green. As you’d expect, the rev counter has been replaced with an eco meter, encouraging you to drive efficiently. The Yaris Hybrid was designed to accommodate the battery pack from the outset, unlike the compromised Auris, so there’s no loss of space in the cabin or boot. In the boot you’ve got a 268 litre capacity, with a false floor to allow you to hide laptops and the like away. The cabin feels much larger than the car suggests; it’s not quite TARDIS like, but even the tallest or largest passengers should be able to get reasonably comfortable. So far it’s more of the same, and then a little bit more. What about the hybrid bit then? First, let’s remind ourselves that there’s a good diesel option in the Yaris range that’s £600 cheaper than this Hybrid and returns a combined mpg of 72.4, so there’s immediate and tough competition from within the Yaris range. 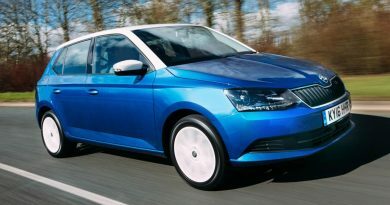 The T3 spec on the Hybrid version starts at £14,995, whilst an extra £900 gets the T4 with Bluetooth, iPod connectivity, DAB radio and a few more toys. That’s the model we’d go for, but there’s also the £16,995 T-Spirit model with keyless entry and half leather trim amongst other additions but does lose out slightly with lower economy and higher emissions. Under the bonnet there’s both a 1.5 litre petrol engine that puts out 73bhp and a 59bhp electric motor. These work in unison to both produce 98bhp (yes, mathematically it should be 132bhp, but hybrids don’t work like that…) and sip at fuel. That power enables the car to accelerate quickly enough, with 60mph arriving in 11.8 seconds, but the noise from the CVT gearbox makes it feel a lot longer; a CVT gearbox works by keeping the engine revving at the most efficient speed, but that does lead to a continuous and monotonous noise from the engine under acceleration. The upside is that once at speed the engine revs drop far lower than a car with a traditional gearbox. 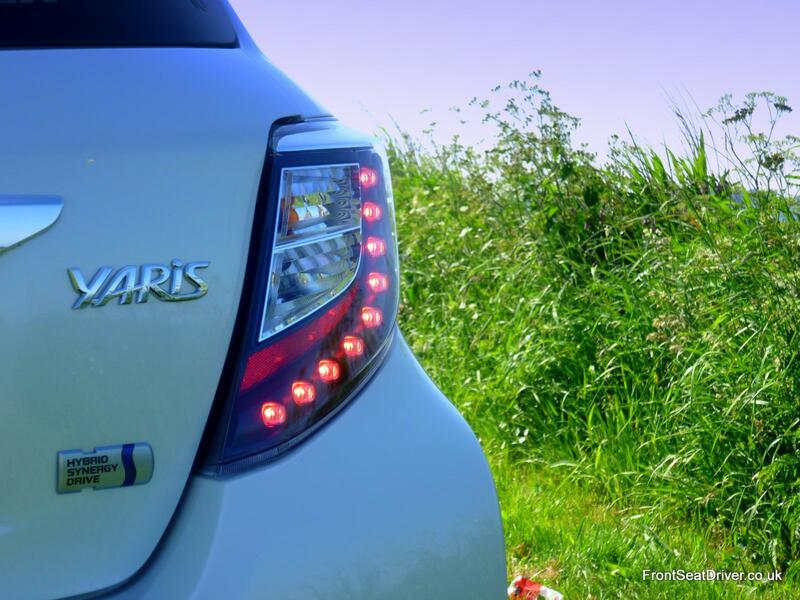 Those low revs make the Yaris a surprisingly refined and sophisticated place to be. The smooth roads of Holland admittedly didn’t stretch the chassis too much, but the ride is extremely compliant and smooth and there’s little in the way of wind or road noise. Dynamically it would be fair to say there’s nothing to write home about, but then this is a city car and not a sports car. It’s lightweight and nimble, zipping around the streets of Amsterdam without issue, but a quick sojourn to the famous Zolder Grand Prix circuit suggested that overly enthusiastic driving leads to nothing more than predictable and safe understeer. Just don’t tell the Toyota PR guys that we went that direction. The big question has to be about economy though. 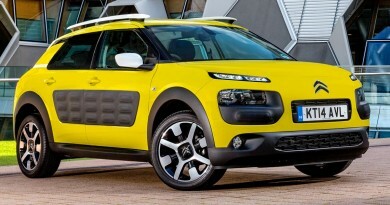 That’s the whole point of this car, though the 72 mpg afforded by the diesel version makes a compelling case for itself. Officially, the Hybrid version should return some 80.7 mpg, but we all know how unrealistic these official figures are. Personal experience suggests the diesel will return a good 55 mpg or so, so I would expect the Hybrid to return around 60 mpg. Under ‘enthusiastic’ driving, that’s exactly what happened. However, on a 53 mile run across different types of road and conditions, from city centre to country roads via motorways, we returned an astonishing 76.3 mpg and that was without specifically driving for economy. 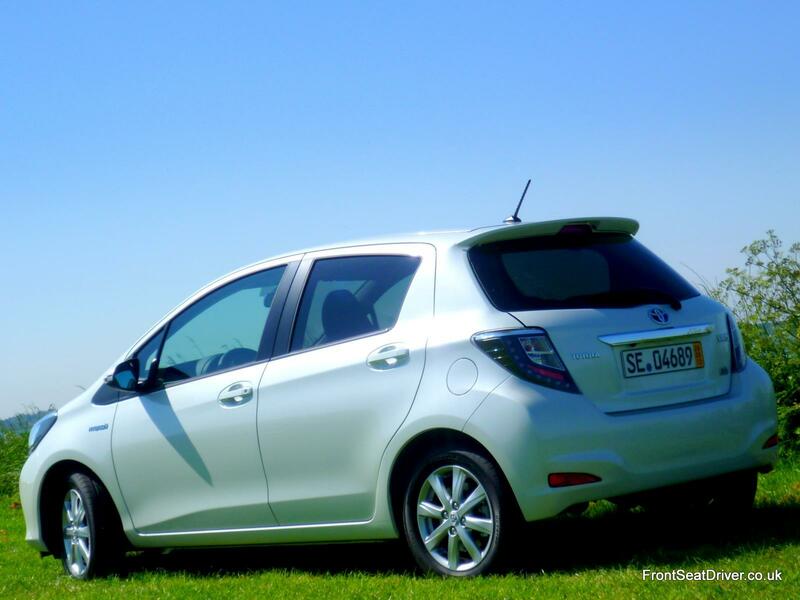 Data collected by Toyota showed that the Yaris was in a zero emission mode (i.e. electric power only) for 44% of that distance, some 23 miles or so. When measuring time rather than distance, that figure rose to 55%, accounting for time sat at traffic lights, in queues and so on. On our figures you’d only need to cover around 2,000 miles to recoup the cost of the Hybrid system over the diesel. You’ll also be benefitting from CO2 emissions of just 79g/km, meaning there’s no road tax or London congestion charge (and probably still won’t be even after Boris shuffles the threshold), lower maintenance costs (the Hybrid Synergy Drive system is Toyota’s most reliable product) and lower insurance costs. To recap then. 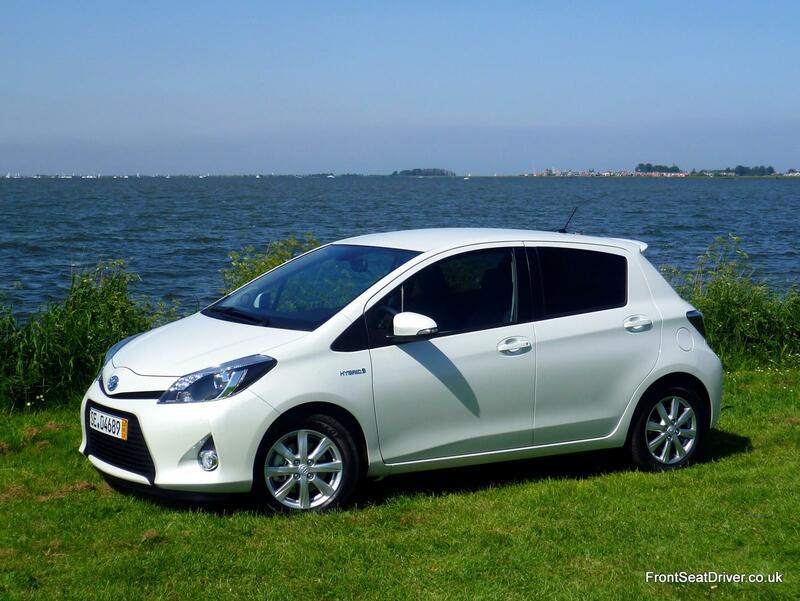 The Yaris Hybrid is efficient, spacious, reliable, safe and cost effective. It’s also cheaper to buy than some of the traditionally powered competition and should hold its value well. There’s very little to dislike about this car, with any criticism being tiny detail around the edges, insignificant in the grand scheme of things. Toyota has come up with a winner. 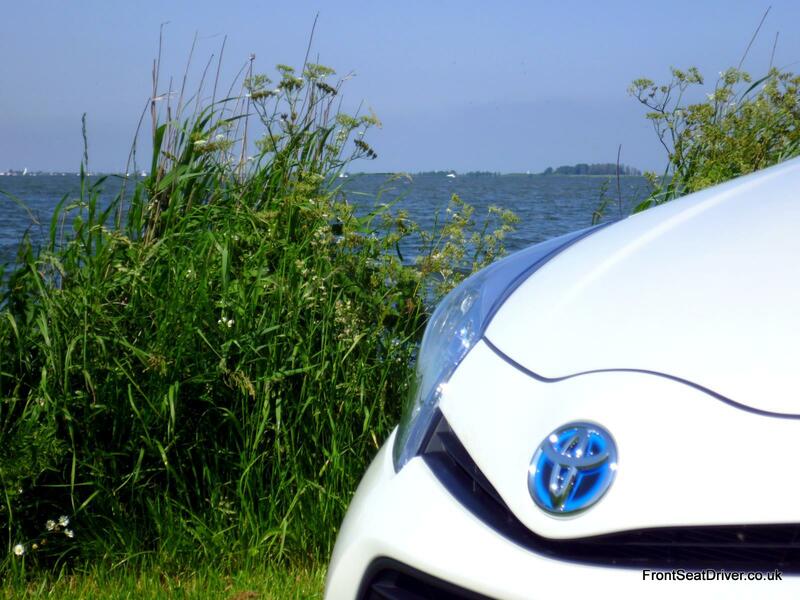 The Yaris Hybrid may not be a game changer, but it moves the game on an awful long way. I did have the advantage of being in Holland, so there’s little in the way of hills to contend with. However, those figures above really were achieved without effort. Oddly, and counter intuitively, pulling away sharply works well for a petrol hybrid engine – once you’re up to speed, the CVT gearbox can drop the engine revs and you cruise along using less power. Give sticking your foot down a go (not in Eco mode), get up to speed quickly (unless you’re in stop/start traffic, obviously), then flick it to Eco mode and see how that goes. I just do not know how you returned the fuel consumption figures you got. My Yaris T Spirit Hybrid returns low 50’s to the gallon and that is running in ECO mode and just driving normally, keeping to speed limits, using cruise control and not hoofing from stationary. It does not come near to the two previous Prius models I have owned for economy. 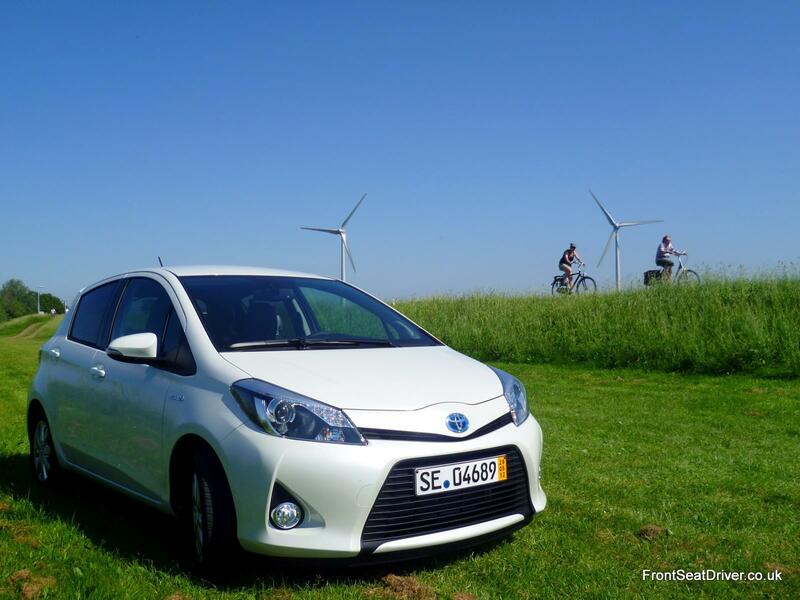 Are any other new Yaris Hybrid owners getting poor fuel consumption? I did make the point in the review that I was in Holland for this test, a country that’s known for being almost entirely flat! If you’re facing a hillier area, or doing a lot of stop/start driving (or even both) then economy will suffer. The Yaris Hybrid starts at £14,995. Hi Im want to change car to yaris HD,how much this car ?